Want to learn more about Sushi? Read articles about the making of Sushi and facts about Sushi. 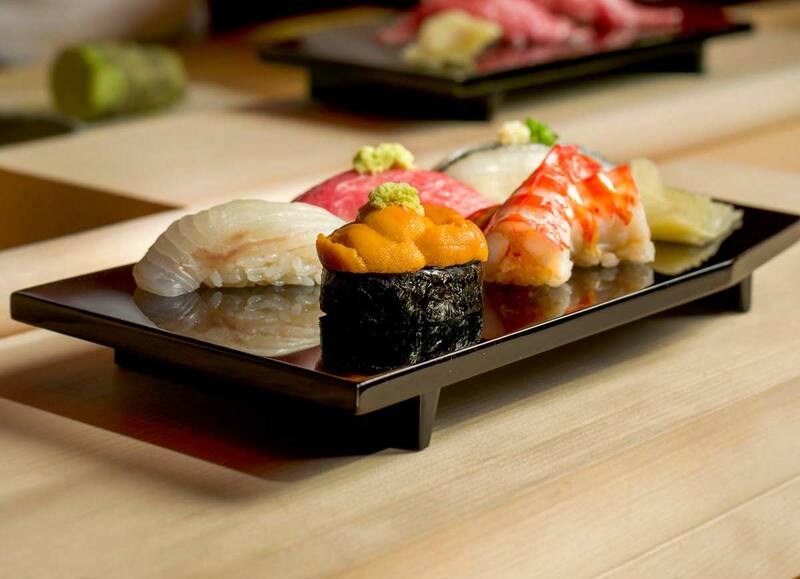 A simple question with multiple different answers–What’s your favorite nigiri in Las Vegas? Do you favor a popular choice such as salmon, or something more adventurous like scallop or sea urchin? Despite your answer, you can be rest assured that you are receiving the highest quality nigiri when you dine at Osaka Japanese Bistro. Yellowtail is a common favorite in most sushi restaurants. I know many people that claim yellowtail (hamachi) is the best nigiri, and rightfully so. The yellowtail does so many things correctly. First, it is a generally neutral flavor with a subtle sweet after taste as you chew and swallow the fish. This cannot be said with some of the more dominant choices such as red caviar or more widely known as ikura (Also brilliant but in a different manner). Because of its rather neutral base, the yellowtail is one that is enjoyed at the beginning or the end of the course of the meal. Sea Urchin (Orange colored fish at center). Not a common favorite, but a must for a sushi connoisseur. Personally, my vote is the sea urchin (uni). Not only do I enjoy the rather fishy taste of the sea urchin, it’s also my “screening” nigiri of choice. When fresh, sea urchin is one of the most enjoyable nigiri you can select. However, it is quite expensive and succumbs to a rather short shelf-life. Thus, if you want to gauge how fresh (or not fresh) a restaurant really is, your best bet is to try the sea urchin and taste the quality. If the color is rather dull and its flavor overly fishy, chances are the restaurant is not very good at ordering fresh ingredients or keeping up its stock. How about Osaka Japanese Bistro’s yellowtail and sea urchin? It’s been in business for decades and you’ll find many food critics claiming it as Vegas’ best when it comes to taste, quality, and service. Can you count on Osaka to serve exceptional yellowtail and sea urchin? You betcha! Come down and see for yourself. It seems like sake and sushi has gone hand in hand for centuries. Traditionally speaking, the two hasn’t been enjoyed together routinely until the turn of the century. The reason? Eating rice and drinking distilled rice liquor was believed to be a huge no-no. It wasn’t until sushi was introduced to the West when it became common for individuals to enjoy sushi with a serving of sake. Naturally, it became integral within western civilization and Las Vegas to enjoy these two together. What is the best combination for sake and sushi? Sashimi goes best with a clean and crisp sake, such as Junmai Ginjo. Sashimi is not commonly eaten in the United States compared to Japan. However, most seasoned sushi connoisseur will agree that sashimi is sushi in its “purest form”. To complement this, critics will often recommend a smooth, clean sake such as Junmai Ginjo. Osaka Japanese Bistro serves a variety of Ginjo-style sake. Never had sashimi before? Read about it more here. Nigiri is enjoyed with a dry sake such as Junmai. Nigiri is my personal favorite amongst the three sushi categories. Sashimi is wonderful, but the composition of rice and a touch of wasabi with the fish is how I enjoy my sushi. 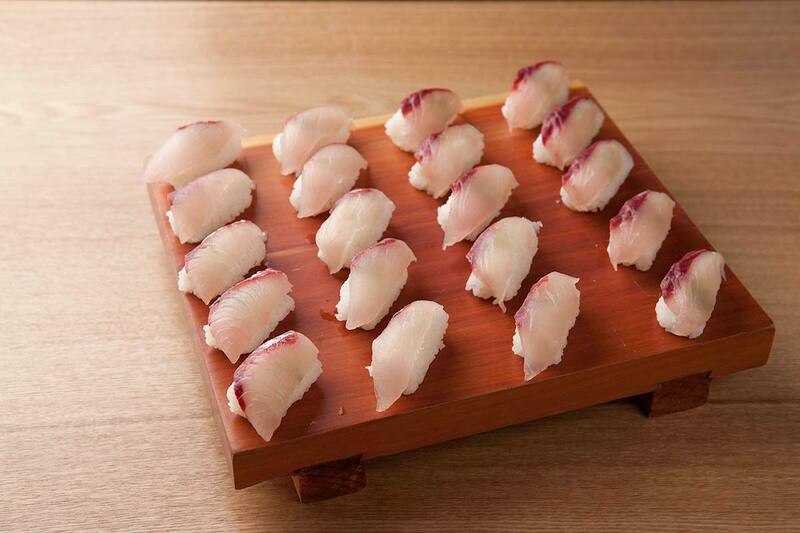 For frequent nigiri diners, Junmai sake is the way to go for its dry, rich finish. Rolls should go together with Honjozo sake. Who doesn’t like a saucey, sweet roll? Because rolls tend to have many layers of flavor, it is commonly recommended to enjoy rolls with a richer sake like Honjozo. There are multiple options for sake. Make sure to choose the right one to drink with your sushi. In conclusion, it is effective to pair the type of sake with the style of sushi you are eating. Remember that not all sake is created equal, exactly like sushi. Take a look at our sushi menu and see what sake combination may work best for you. You can be rest assured that when you dine at Osaka Japanese Bistro, you are receiving the best quality in terms of sushi, sake, service, and more. 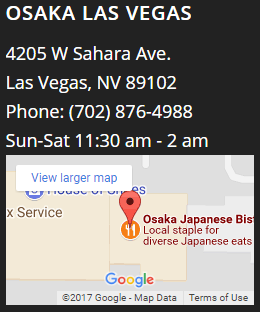 Osaka Japanese Bistro is one of the longest standing Japanese restaurants in Las Vegas, thanks to our commitment to excellent service and culinary offerings. You can read more regarding sake on our extensive post here. Las Vegas is home to many unique attractions such as the iconic Las Vegas Strip, acrobatic Cirque De Soleil shows, exciting nightclubs, and more. Because Las Vegas is such a hot spot, you’re bound to find plenty of unique restaurants and eateries on and off the Strip. Naturally, restaurants strive to find new and creative ways to meet the expectations of the tourists and locals in the valley. Osaka Japanese Bistro is no exception. 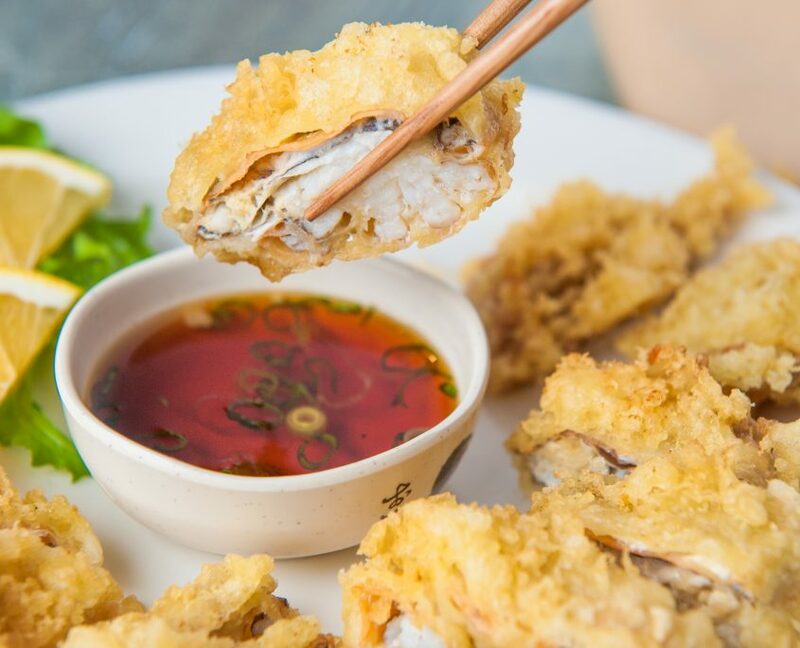 With the recent explosion of popularity in Japanese cuisine and primarily sushi, Osaka Japanese Bistro is always looking to improve its menu. Operational for over 50 years, Osaka Japanese Bistro has created award-winning sushi rolls over the years. Today, we want to share 3 sushi rolls that you need to try in Las Vegas. A personal favorite of mine, the Cajun Crunch Sushi Roll is an explosion of irresistible flavor. The roll contains crispy shrimp tempura, cream cheese, and spicy crab topped with fresh albacore and Tataki & Banzai sauce. My first bite into the Cajun Crunch roll, I was met with the crunchy texture of the shrimp tempura. The oozy consistency of the cream cheese, however, was a nice contrast in comparison. The crab delivers just the right amount of spiciness to balance out the sweet and salty taste of the Tataki & Banzai sauce. 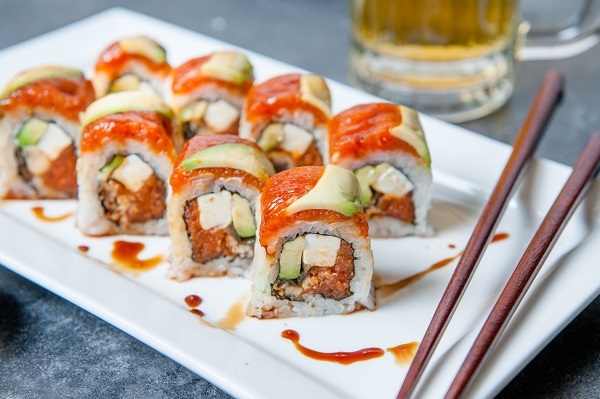 The Cajun Crunch beautifully executes albacore, shrimp, and crab in one delicious roll. I had the pleasure of visiting Asakusa earlier this year during the Spring. While many temples are scattered throughout Japan, Asakusa is home to some of the most iconic temples in the bustling part of Tokyo. Though integrating modern buildings and roads without damaging the hundred-year-old temples were certainly a challenge, Asakusa is a clear example that old and new can seamlessly blend in today’s age. The Asakusa Sushi Roll does not exist in Asakusa, and sushi rolls, in general, are not nearly as popular in Japan compared to the United States. However, the Asakusa Sushi Roll served in Osaka Japanese Bistro is a perfect blend of Japanese-American sushi while containing the elegance and simplicity of Japanese sushi. It is served with spicy tuna, fresh albacore, and scallions topped with Tataki sauce. This fairly subtle but delicious roll is bound to impress you! This shouldn’t come as a surprise, as numerous celebrities, media, and Guy Fieri has raved about the Roppongi Roll. The Roppongi Hills in Japan is equivalent to that of Beverly Hills in the United States. If the prestigious class of these two neighborhoods is directly representative to the taste of this roll, then I cannot find a better name! The Roppongi Roll contains spicy tuna, shrimp topped with another serving of tuna, masago, scallions, and drizzled with Tataki and Yum Yum sauce. This beautiful combination of sauce and fish with a sprinkle of masago on the top of each roll is simply a masterpiece. If you haven’t tried the Roppongi Roll at Osaka Japanese Bistro yet, you should, especially if you are a constant sushi connoisseur. In conclusion, these are the 3 sushi rolls I recommend trying in Las Vegas. 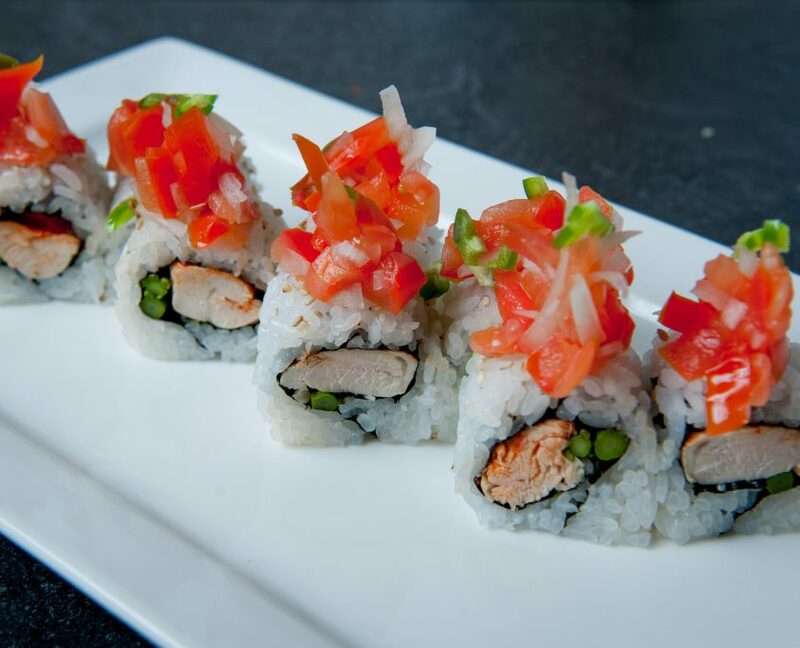 You can find all three of rolls only at Osaka Japanese Bistro. Have you run across sashimi fans who tell you how much they love eating raw fish on a plate and wondered what was so special about it? If you’re a sushi fan, chances are you’ve encountered sashimi at a sushi bar. But what do you know about this distinctly Japanese and very special delicacy? We’d like to share some facts about sashimi so you’ll be able to really appreciate it next chance you get to sample it at your favorite Japanese sushi restaurant. 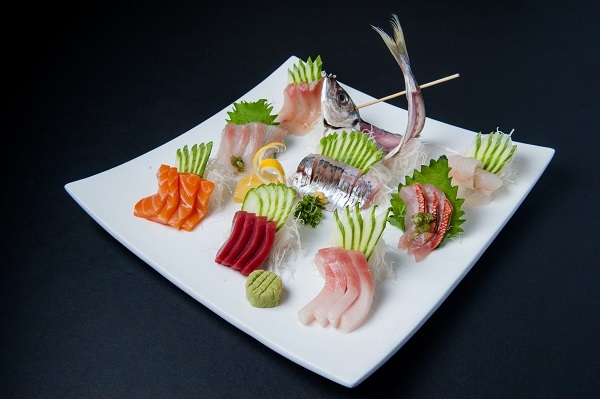 Sashimi is a traditional Japanese dish of carefully selected and sliced raw food. It is mostly served as thinly sliced fresh fish. However, other meats such as beef can also be served as sashimi, although this is rare in authentic Japanese restaurants. Some people confuse sashimi and sushi even though the difference is a simple one: sashimi is a piece of raw fish while sushi is sashimi (raw fish) accompanied by vinegared rice. The eating of sashimi can be traced to the 14th century. The term means “pierced body.” (The more accurate term would have been Kirimi (“cut body”) but the Japanese avoided it so as not to use the word ‘Kiri,” meaning “cut” which is considered a bad word.) Sashimi eating became popular in the Tokyo region in the 17th century as fishing techniques became more advanced and the arrival of the use of soy sauce helped enhance its flavor and popularize it more widely. To properly prepare and enjoy sashimi, the fish must be completely fresh in order to retain its delicate flavor and for food safety. Most Japanese people are introduced to sashimi at a very young age. Foreigners may, however, take a while to get accustomed to the taste and texture of raw fish. Because it can be an acquired taste, condiments are a common accompaniment to sashimi, even in Japan, enhancing the overall taste experience and reducing the fish taste to only its best and most delicate flavors. Spearing the fish in the head and tail is a traditional way of identifying the fish that will be served. A common garnish is called tsuma, which consists of pieces of perilla leaves, seaweed, and daikon radish. They are usually cut into pretty shapes though they are always eaten together with the sashimi. Other edible wild plants, vegetables, and flowers are also used as garnishes. Some types of the sashimi are eaten with a bit if horseradish (wasabi) or ground ginger, plums and mustard paste (karashi). The dish is often seasoned with soy sauce in which the diner dips a piece of the meat before eating. It is good practice to take only as much sauce as needed as the flavor may overwhelm the taste of the fish. Maguro is sashimi prepared from tuna. It is on the menu of nearly all restaurants that serve sashimi. The whole fish is edible, but the price of the sashimi dish varies depending on the fat content of each part. The lean, firm, and fleshy red flanks or akami are the cheapest. The most expensive part is the meat from tuna’s fatty belly, toro. It is available in two grades based on the fat content, chutoro, which is the medium grade and otoro, the premium grade. Shake is salmon-based sashimi and is common in many Japanese restaurants. 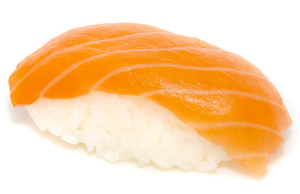 The delicious bright orange fatty belly is also called salmon toro in many menus. Sea bream or tai, is the best white-fleshed fish in Japan. 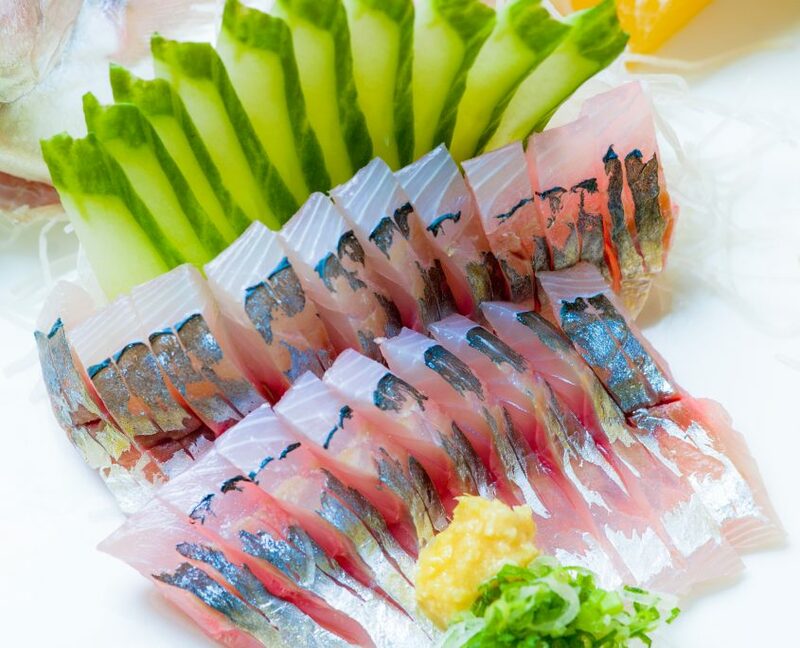 In sashimi cuisine, tai is often served during celebrations such as New Year’s and weddings. To the Japanese, it is symbolic of new beginnings. Other fish that are served as sashimi include mackerel (saba), skipjack tuna or bonito (katsuo), and amberjack (kanpachi). Sashimi is also prepared form squid (ika), shrimp (amaebi), and octopus (tako). The highly prized jellyfish, kurage. is also served as sashimi. 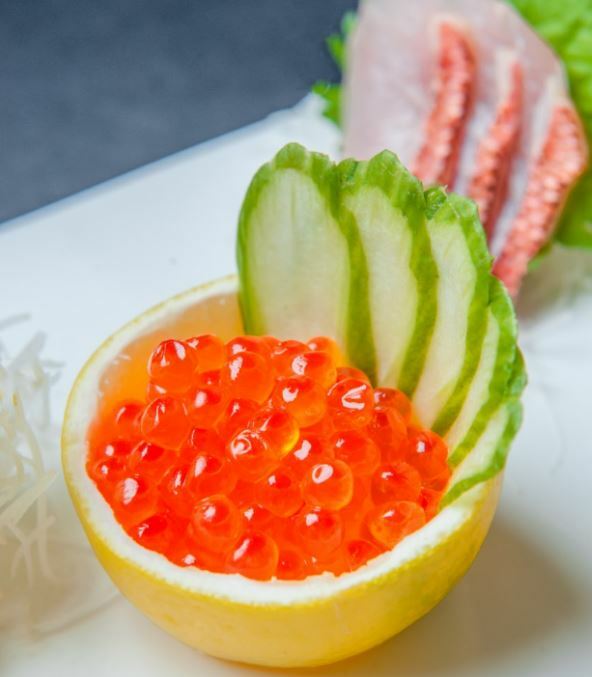 Another option is caviar or salmon roe (ikura). The most expensive roe-based sashimi is the uni (sea urchin roe). It has a creamy, buttery texture and a sweet, briny flavor. Uni is the edible part of the sea urchin and has to be carefully harvested as the meat tends to fall apart. It is also a seasonal item and so is only available for part of the year, generally late fall and winter. 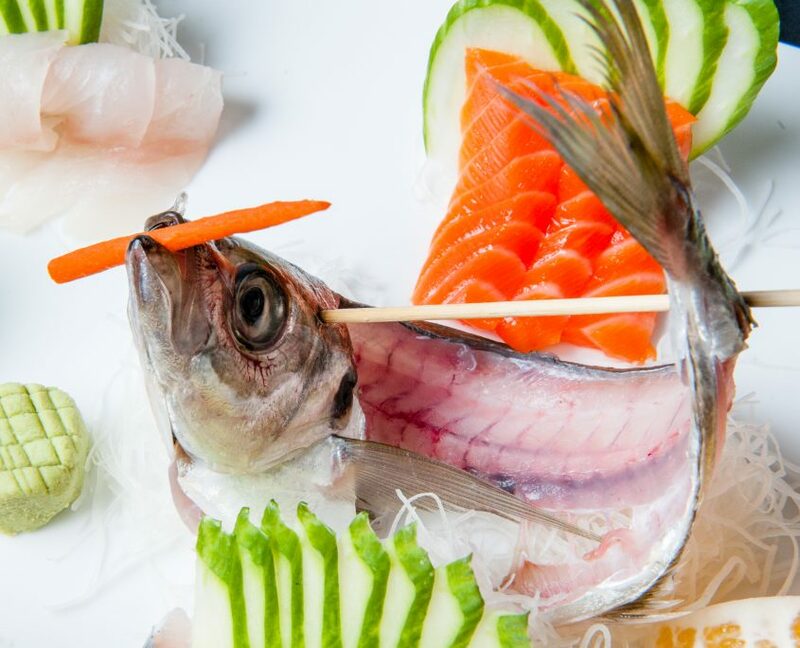 With our award-winning staff and authentic, traditional recipes and preparation method, Osaka Japanese Bistro offers the best fresh sashimi outside Japan. 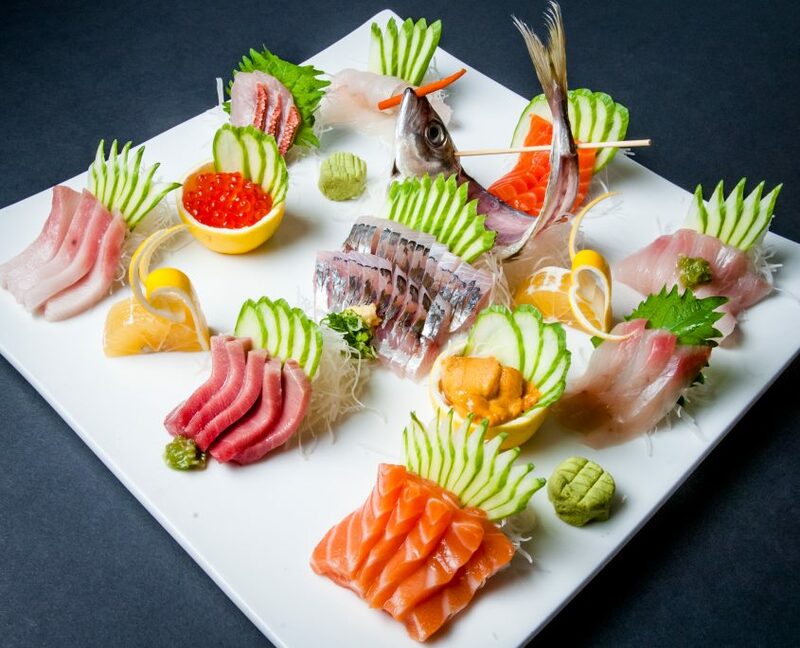 As the oldest Japanese restaurant in Las Vegas, we specialize in offering a broad menu as well as carefully selected and hard to find fresh fish from Japan to create authentic tastes and textures hard to find anywhere else. We even offer uni sashimi when it is in season and of the high quality we demand. Our sushi is enjoyed not only in our restaurants, but is the preferred catered sushi at many top Las Vegas casino buffets and restaurants who we supply daily with top quality fresh sushi, as well as sashimi and nigiri selections. 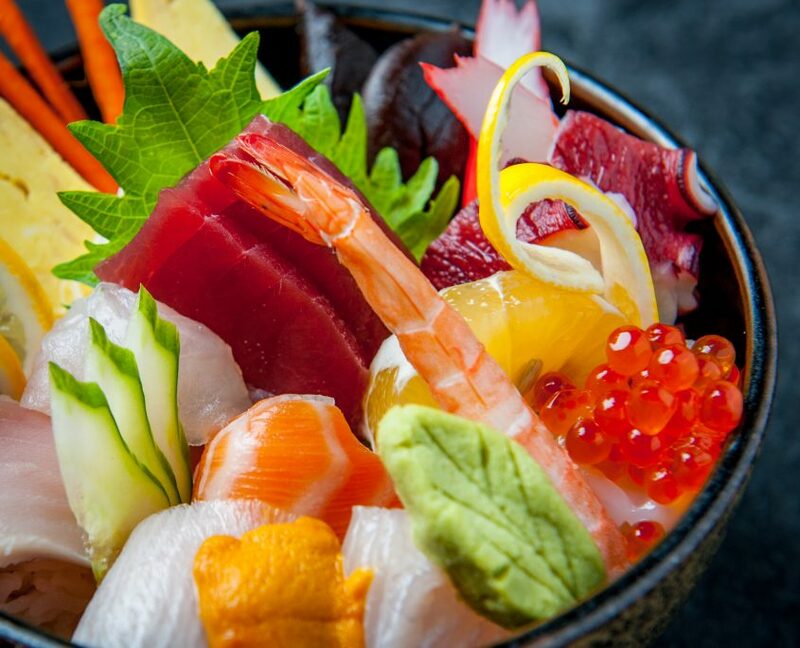 For the very best in Japanese cuisine, stop in next time you’re in Las Vegas for a plate of fresh sashimi or nigiri and delicious sushi rolls. Sushi is an exotic delicacy, and more and more Americans have fallen in love with its unique flavor profile. Yet despite its popularity, most people know few facts about sushi and because of that gap, myths abound on the do’s and dont’s of sushi as well as other assumptions. Even though it’s become wildly popular, many Americans aren’t sure what to believe when it comes to sushi. These five common sushi myths will catch you by surprise! Myth: With sushi, the fish is all that matters. Fact: Good sushi is a marriage of perfectly prepared ingredients. Of course, the quality and handling of the fish is extremely important to good sushi. But the rice, seasoning, sauces, and garnishes play a critical role, too! 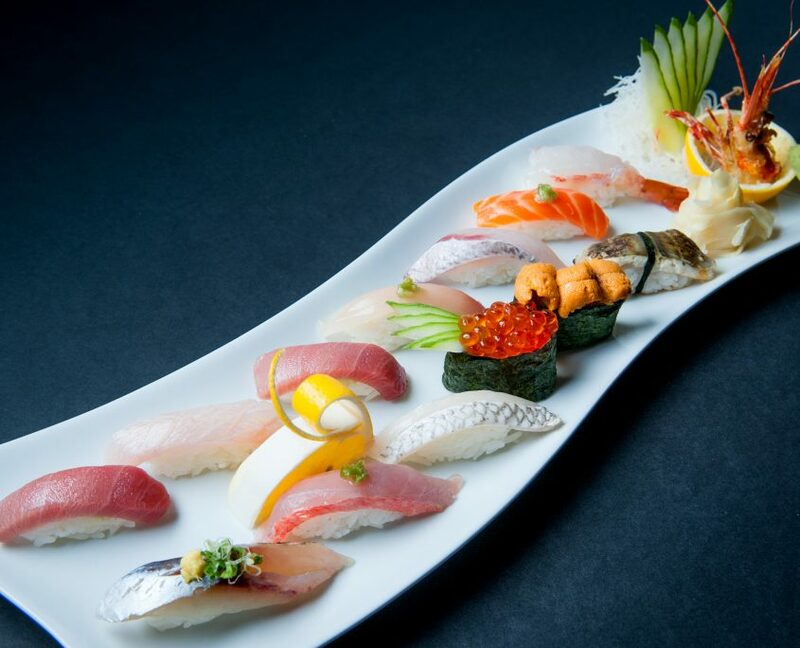 The mix of flavors, expert preparation, even the presentation determine the quality of sushi. A top-notch sushi chef is an expert in selecting the perfect ingredients that bring out nuanced and delicious flavors in one another. Myth: All sushi is raw fish. Fact: The term “sushi” actually refers to the specially-prepared rice. Sushi rice is usually vinegared and seasoned with a little salt and sugar. In fact, many sushi rolls contain cooked fish, or no fish at all. Sushi can feature other meats or even be completely vegetarian (try a cucumber roll!). The term “sashimi” refers to raw fish that is thinly sliced. Myth: All sushi is expensive. Fact: Sushi prices vary widely. The price of a sushi roll depends on many different factors, including the skill it takes to put it together, the cut and species of fish, and how rare the specific ingredients might be. Sushi restaurants typically include lower-priced rolls as well as high-end delicacies on the menu. Whatever your budget, you can enjoy fresh, delicious, artfully prepared sushi rolls. Myth: Sushi must be paired with sake. Fact: Sake and sushi is not a traditional pairing. 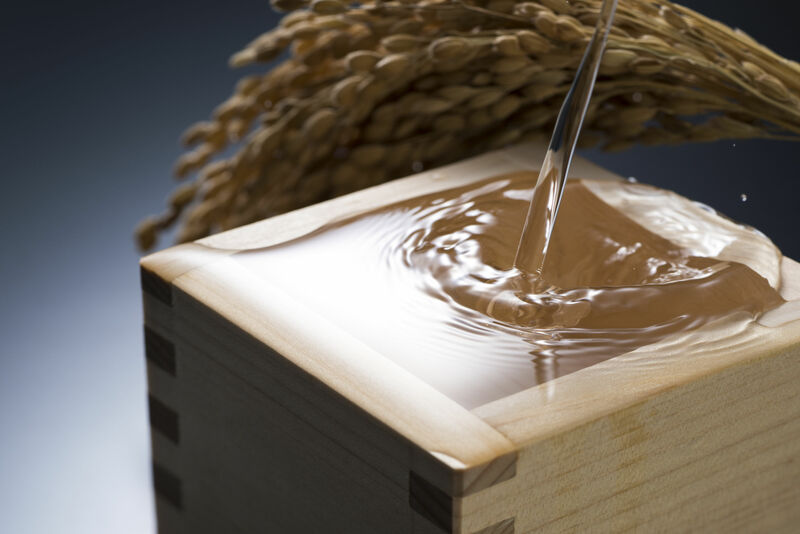 Sake is made from fermented rice, which traditionally is not considered a good match with rice-heavy sushi. However, contemporary sushi restaurants offer many kinds of sake, several of which go great with sushi – just ask your waiter. If sake isn’t your “cup of tea,” you can also pair sushi with beer or wine. Speaking of tea, you may want to simply order green tea with your sushi. 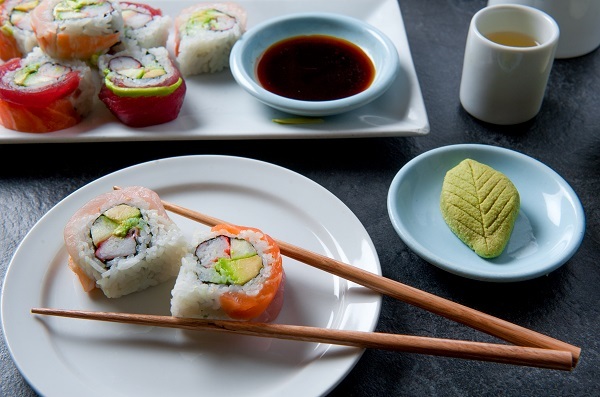 Green tea helps to clean the palate between bites to sharpen your enjoyment of each bite of sushi. Myth: Only get sushi on the day a fresh shipment comes in. Fact: Same-day fresh is not ideal! The perfect fish for sushi is slightly aged. Sushi chefs specialize in serving fish at the perfect time. That means that the fish you are served may have been aged for a day or two to bring out its best flavor and texture. Shipments are timed so that fish are ready to serve any day of the week. So don’t worry about timing your meal – any day of the week will work perfectly! Las Vegas hosts some of the best restaurants in the country – and sushi is no different! Osaka Japanese Bistro, the first Japanese restaurant in Las Vegas, features a legendary sushi menu. Located on Sahara Ave just off the Las Vegas Strip and also in Henderson, Osaka’s has been the top sushi restaurant choice for Las Vegans for decades. It’s the ideal choice for an authentic Japanese dining experience, or for catering your Las Vegas event, food service or business. Come on in and learn more about sushi as you chat with our expert sushi chefs and enjoy a great sushi experience. The freshness of the fish is the key to the best sushi. Great sushi restaurants rely on fish that goes directly on ice once it is caught in the ocean. This keeps the fish fresh and safe for shipping. What kind of fish is used can vary, but of course some are more familiar than others. Here are seven popular sushi fish, all of which you can find in delicious sushi rolls at Osaka Japanese Bistro. Hamachi (Yellowtail): Also known as Japanese Amberjack, yellowtail is a fatty fish with a mild flavor that is perfect for someone who is new to sushi. Shake (Salmon): People love the deep, rich color of salmon. 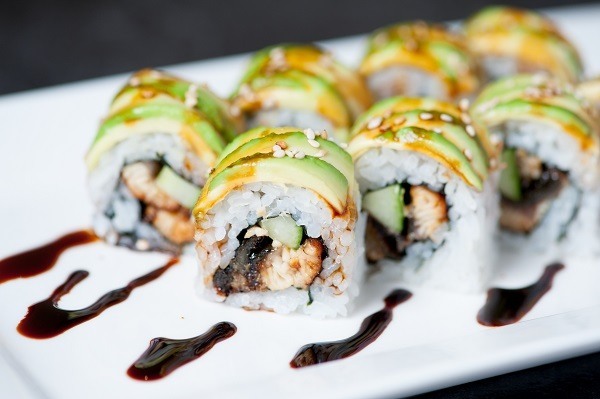 Its flavor makes it a favorite among sushi buffs and it is loaded with healthy Omega-3 fatty acids. 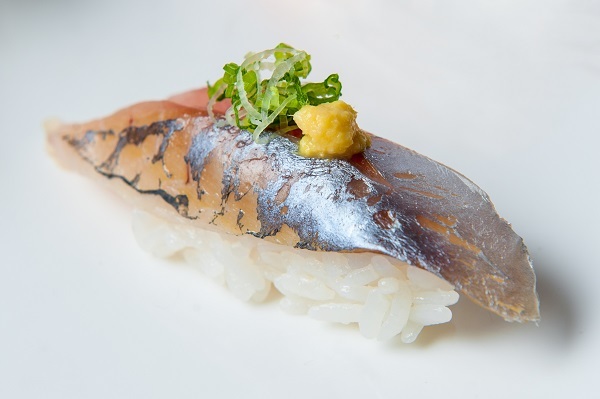 Saba (Mackerel): This is for the more sushi lovers who don’t mind a more “fishy” smell and flavor. Saba is often cured for several hours in vinegar and salt before serving. Hirame (Halibut): This is a more lean fish, so the rich flavor usually surprises and delights people. Halibut can be chilled on ice before serving or it can be prepared through a process called kobijume, which involves grilling it on the outside and then dunking the fish in ice. Bintoro (Albacore Tuna): This fish lives in warmer water than many other varieties of tuna, which contributes to it smooth texture and delicate meat. Tai (Red Snapper): This white-meat fish is another safe bet if you are new to sushi. It has a very mild flavor and is popular at sushi bars year-round. Unagi (Freshwater Eel): This is usually a grilled form of sushi brushed with soy sauce. Freshwater eel is a fatty fish that is packed with vitamin B.
Ika (Squid): Many people avoid squid because of the tentacles, but the firm texture and rich flavor should not be missed. Uni (Sea Urchin): Sea urchin’s flavor is described as sweet and delicious, and it combines well with many other flavors of sushi. Kurage (Jellyfish): People with the courage to try jellyfish are often surprised to find that is their “new favorite” sushi. The texture actually has a slight crunch which is unexpected. Akagai (Surf Clams): Clams make a soft and chewy sushi. They are usually served in a beautiful flower pattern. Iwashi (Sardine): Sardines are difficult to find fresh, so they are considered a delicacy in a sushi setting. Many people enjoy making sushi at home. If you do give this a try, just like in restaurant sushi, the freshness of the fish you use is very important. Here are some tips on having the best and safest sushi-making experience. Never eat freshwater fish raw. You always want sushi that is ocean-caught or responsibly farmed, to avoid parasites. Look for “sushi-grade” fish. This means that the fish was caught, bled and gutted, and then frozen directly on the boat. 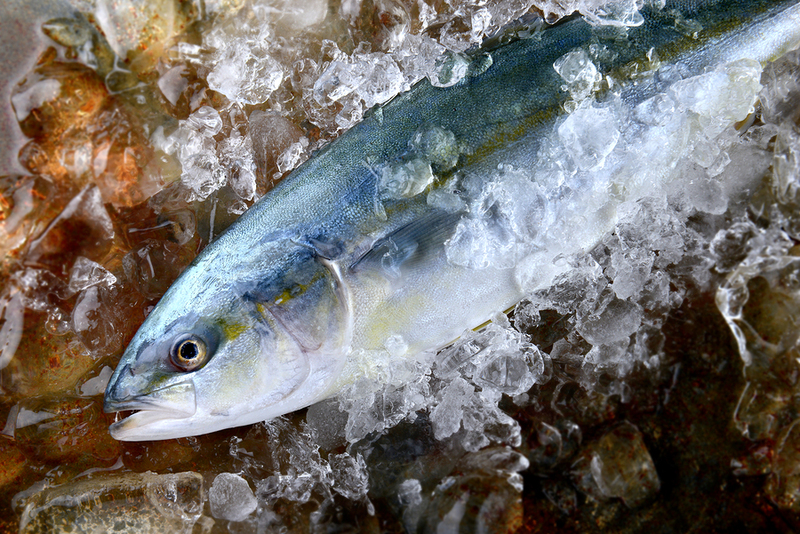 Fish needs to be frozen at 0 degrees Fahrenheit for seven days, or at -35 degrees Fahrenheit for 15 hours (flash frozen) in order to kill known parasites. If you buy fresh fish, try to serve it the same day that it is purchased. Ideally, you will want to buy fish that is still swimming in a tank; specialty markets will carry “live” sushi fish that is in season. If a fish has cloudy eyes or feels mushy when you press a finger against it, don’t use it for sushi. It’s better to be safe than sorry! If you want to use any type of shellfish for sushi, make sure the shells are intact. A cracked shell can lead to the meat spoiling much quicker. The sushi fish at Osaka Japanese Bistro in Las Vegas are selected fresh daily. We have long-standing relationships with some of the best suppliers in the region. Osaka has been in business for 50 years and we know you will love our fresh sashimi, nigiri and local specialty rolls! 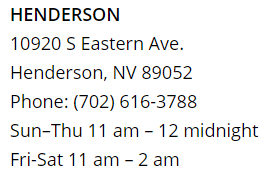 Stop by one of our Las Vegas or Henderson locations and enjoy a great sushi experience. Japanese cuisine is now mainstream and wildly popular throughout this country and much of the world. However, whether you’re a seasoned sushi connoisseur or a novice looking to order your first roll, terms on Japanese restaurant menus can be confusing. From nigiri to maki, here’s a rundown on the different varieties of sushi you may encounter in Japanese sushi restaurants. Simply put, the term sushi in Japanese cuisine describes any dish prepared with vinegared rice. This distinctive and specially prepared sushi rice is combined with a variety of other ingredients. Raw seafood is the most recognized sushi ingredient. 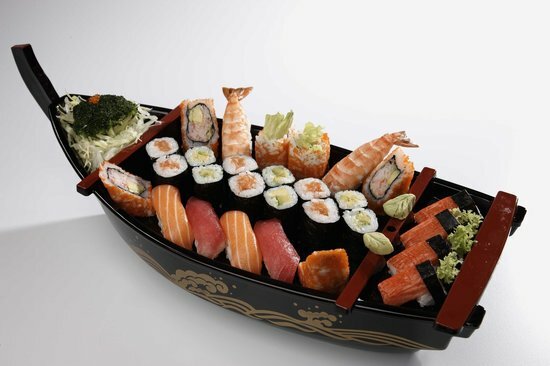 However, sushi is also prepared with cooked seafood, vegetables, egg, tropical fruit, and even meat. Sushi is commonly served with soy sauce, pickled ginger, and wasabi (Japanese horseradish). Sushi was originally prepared by street vendors as a snack food. The bite size pieces were perfect for eating on the go. As sushi rapidly grew in popularity and spread across Japan, different varieties were introduced. Now, sushi-making is an entire art in itself, with hundreds of different varieties of sushi available around the world. But these will all fall into several main categories that you can recognize anywhere you go. Maki, or makizushi, literally translates to “rolled sushi”. It is what most people envision when the word “sushi” is mentioned. The tube-shaped rolls are created using a bamboo mat referred to as a makisu. Maki is generally wrapped in seaweed (nori), but the seaweed is occasionally replaced by cucumber, soy paper, or shiso leaves. Rice is located directly inside the wrapping, and the filling is in the center. Maki rolls are usually cut into six or eight pieces. Futomaki – Futomaki translates to “large, thick, or fat rolls”. Like the name suggests, futomaki sushi rolls are wide (usually 2 to 2.5 inches in diameter). They are filled with multiple fillings, and seaweed is usually on the very outside. Hosomaki – Conversely, hosomaki means “thin roll”. These maki rolls have one filling, surrounded by rice and seaweed. Tuna and cucumber are some popular fillings in hosomaki sushi. Due to the convenient, bite-sized pieces, hosomakizushi is a popular snack item in Japan. Temaki – Temaki means “hand roll”. Temaki is a cone-shaped piece of seaweed filled with ingredients that spill out of the wide end of the roll. Temaki is eaten by hand and should be consumed relatively quickly, as the seaweed absorbs moisture from the inside ingredients and becomes soggy. Uramaki – Uramaki translates to “inside-out roll”. This Westernized sushi variety differs from traditional maki in that the seaweed is inside the roll and rice is on the outside. The common California Roll is an example of uramaki sushi. In Japan, where sushi is traditionally eaten by hand, this maki variety is rather uncommon. Nigiri, or nigirizushi, means “hand-pressed roll”. It is the most traditional sushi type. Nigiri consists of an elongated mound of sushi rice that has been hand pressed by the chef. The mound of rice is then draped with a single topping. Some common toppings are tuna (maguro), salmon (sake), octopus (tako), freshwater eel (unagi), and egg (tamago). A small amount of wasabi is oftentimes placed under the topping. In most restaurants, including Osaka Japanese Bistro, one order of nigiri is two pieces. Gunkanmaki is a type of nigirizushi that has a piece of seaweed surrounding the perimeter. This strip of seaweed helps contain a loose or soft topping, such as sea urchin (uni) or salmon roe (ikura). Chirashi, or chirashizushi, means “scattered sushi”. It is a bowl filled with sushi rice and a variety of different toppings. Toppings generally include raw fish and vegetables. Chirashi sushi is popular in Japan, because it is filling and comparatively easy to prepare. While not technically sushi, sashimi is on most Japanese menus near the sushi. 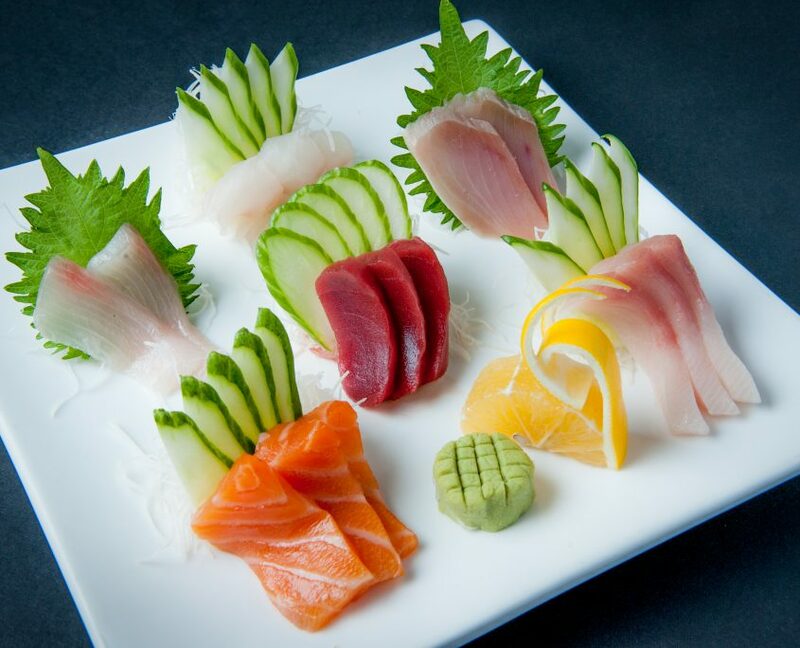 Sashimi is simply fresh, raw fish or meat cut into thin slices. Sashimi is not served directly with rice, but it is often served over a garnishment, such as shredded white radish (daikon) and/or shredded carrot. Like sushi, sashimi is eaten with soy sauce and wasabi. While it is considered appropriate to eat sushi by hand, it is proper to eat sashimi with chopsticks. There is a lot to know about sushi, as there is about Japanese cuisine, but with some basic knowledge you’ll be able to find your way through just about any sushi menu. 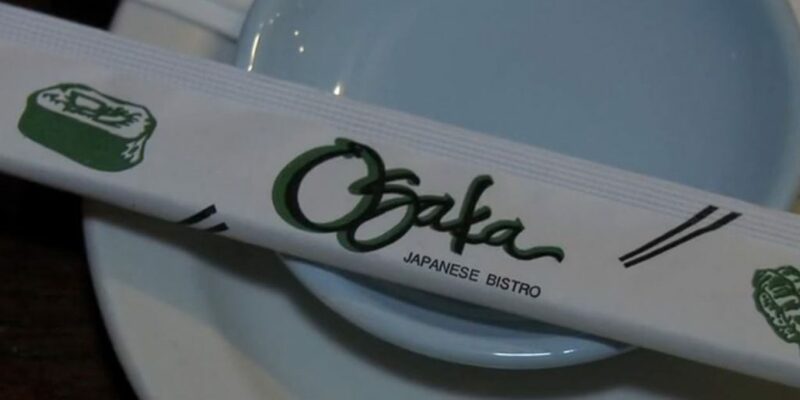 Osaka Japanese Bistro was the first Japanese restaurant in Las Vegas. Based on authentic Japanese recipes and never compromising quality, we have become the largest sushi-maker in Las Vegas, serving everyone from our guests in our restaurants in Las Vegas and Henderson as well as many of the food buffets up and down the Las Vegas Strip. With our award winning chefs and large selection of sushi, including maki, chirashi, nigiri and sashimi, you could say we know sushi. 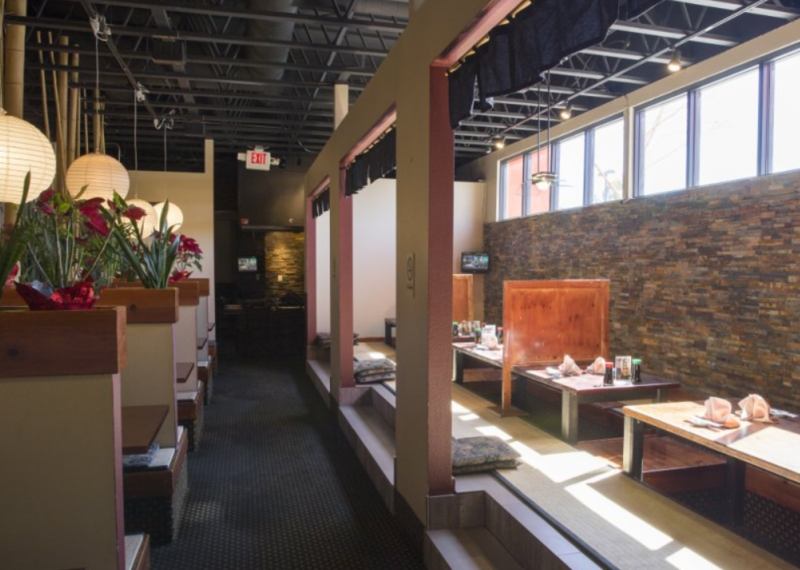 Stop by Osaka today and enjoy the best fresh sushi in town. https://www.lasvegas-sushi.com/wp-content/uploads/2017/01/Sushi-plate.jpg 252 600 Osaka Japanese Bistro https://www.lasvegas-sushi.com/wp-content/uploads/2017/02/OSAKA-LOGO-300x130.png Osaka Japanese Bistro2017-08-21 05:00:432017-12-18 16:32:48What are the Different Types of Sushi? Before you visit a sushi restaurant in Las Vegas, prepare to enjoy a truly authentic experience by learning a few basic traditional Japanese table manners. This is one way to deepen your understanding of the rich Japanese culture related to dining and eating sushi. And, it is also a whole lot of fun! If you can find a sushi bistro that serves food on a tatami floor instead of at a Western style dinner table, go there. You will immediately feel more immersed in the experience. 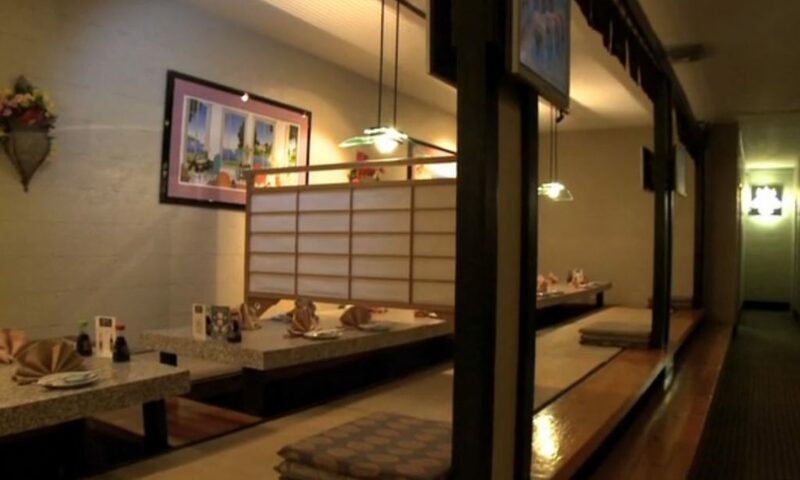 There are certain things to keep in mind with a tatami floor: Take off your shoes before you step into the general eating area, and make sure that you do not step on any cushion except the one that you will be sitting on. Before you put anything in your mouth (yes, even the sake), clean your hands with the wet towel, known as an oshibori, provided by your server. Everyone should order before anyone touches any of the appetizers. Every meal begins with the Japanese phrase, “I gratefully receive,” pronounced itadakimasu. If someone must eat right away before everyone at the table has been properly served, then that person should not eat until the other people at the table say “please go ahead” or osaki ni dozo to that person. Small bowls should be picked up and held close to the mouth. Large bowls and plates should not be lifted in this manner. When you are eating from shared dishes, use the opposite end of your chopsticks when you want to pick up or move food. Japanese drinking etiquette means that no one starts drinking until everyone starts drinking in a salute, which resembles a toast. When you are drinking alcoholic beverages, then you should serve each other and never pour your own drink for yourself. Serve friends drinks as their cups empty. It is unacceptable to chew with your mouth open, audibly chew, burp or blow your nose at the table. If you must do these things, it is better to excuse yourself from the table completely and visit the restroom. Should I Finish My Sushi? Unlike Western society, it is good manners to finish every last morsel of your food in Japanese culture. If you know that there will be items on the menu that you cannot eat, you should request a substitute at the beginning of the meal. If you are surprised by a dish, then it is more polite to touch none of the dish than to eat some of it. chopsticks should end up back in their paper holders or on the specialized chopstick resting area. After finishing the meal, the phrase “thank you for the feast,” pronounced gochisosama deshita, is appropriate to say to the cook. 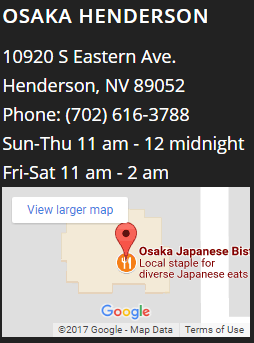 At local’s long-time favorite Osaka Japanese Bistro in Las Vegas and Henderson, Nevada, we serve a broad menu of authentic Japanese cuisine in an authentic atmosphere, including tatami room, sushi bar or teppanyaki experience. First time Eating Sushi in Las Vegas? 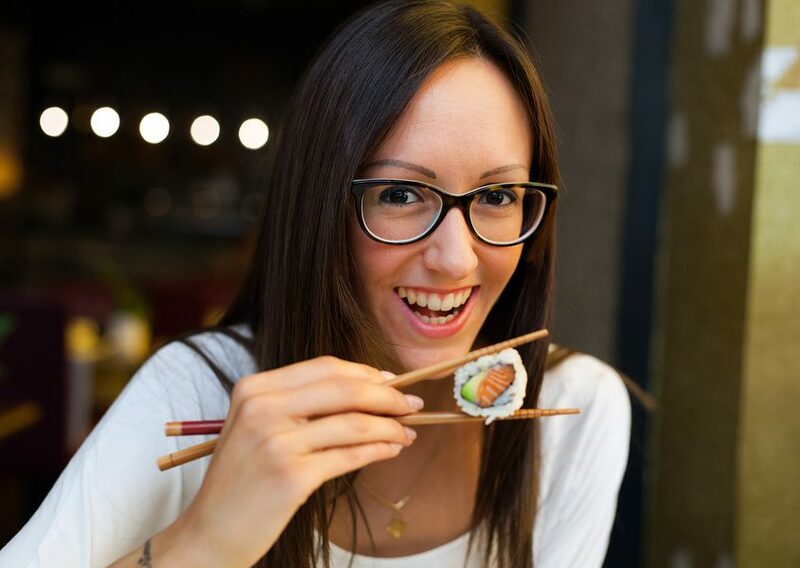 Don’t worry, you are definitely not the first, you’ve been pushed and nagged by your friends, and now find yourself reluctantly sitting in a Las Vegas sushi bar not knowing the first thing about sushi: what it is, how to eat it, (should you eat it? ), how to order, and what all these little plates are for. Like I said, don’t worry, you’re not the first. There are many books out there for “what to expect when you’re expecting” or “parenting for first- time parents”; but eating isn’t normally something that comes with a manual, it’s a natural part of life that we eagerly grab onto within the first hours of birth. Why is it then, that when it comes to sushi, even the most experienced eaters seem to falter? Stepping outside of our regular diet and eating habits can be both intimidating and fun; if you are ready to take a step into the unknown, continue reading, you may find yourself pleasantly surprised. If you look around you at a sushi bar, you will find an assortment of people, some may be tourists appreciating local Las Vegas food, others may be college students out with friends, some may be serious sushi connoisseurs who look down their noses at sub-par sushi. Everyone in this room was once in the same position as you, even the snobby sushi connoisseur was once a first-timer. Being able to enjoy sushi is definitely an art; much like visual and performing arts, in order for one to actively appreciate it, you have to put it into perspective, you have to know what to expect. What is sushi? And what is isn’t. Most first-timers have many similar insecurities, squeamishness concerning eating raw fish is basically on the top of the list. Its good to set things straight; Sushi does not mean “raw fish”, it was actually originally a way of preserving fish that has evolved for centuries into the sushi we know today. 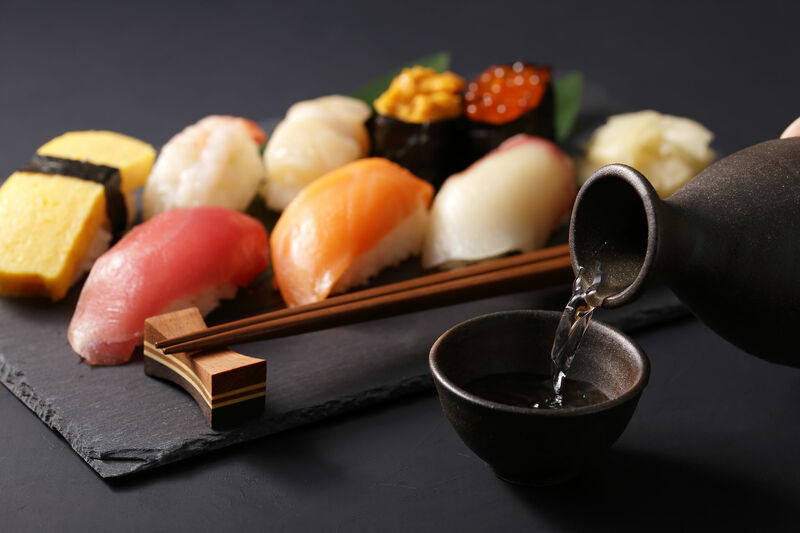 The sushi we are most familiar with is actually a style of fast food from the Edo Region (Edomae) that became popular about 200 years ago in the seaport that is now known as Tokyo. The main goal for a sushi chef is not to make patrons eat weird food, it is to present the ingredients in a way that will highlight the flavors favorably to the palate. Cooking sometimes takes away some of the flavors that a fish naturally has, therefore making the uncooked fish much better suited for sushi. Although sushi made from raw fish (such as Tuna or Halibut) is delicious (and should be made from high quality sashimi grade fish) rushing right into it might not be for everyone. Many people find that it’s best to enter the world of sushi-connoisseurs by starting out with foods they are already familiar with and then transition into the more exotic dishes. To learn about the top 10 choices for the first-time sushi eater in Las Vegas, come back for our next blog. Sometimes the secret behind good food isn’t just the best ingredients or the right recipe; the fascinating history and little-known facts can be just as delicious! Today we bring you a few snippets of information about Sushi that you may not have known. The term actually refers to how the cook prepares the rice, by flavoring it with vinegar. That means that even vegetarian sushi dishes like avocado rolls and temaki are still real sushi. #2 Tuna is a common ingredient, so much so that almost 80% of the world’s Bluefin tuna caught is used for Sushi. 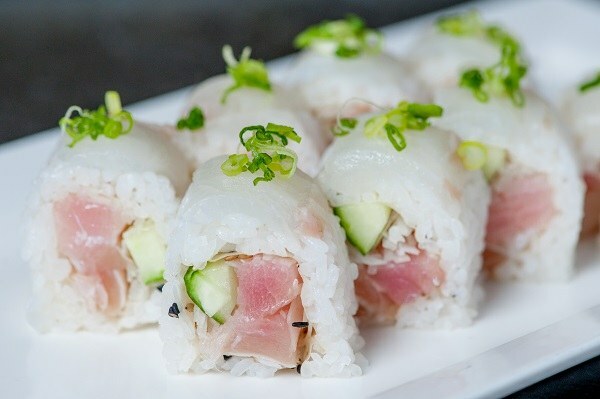 At Osaka, we serve 18 different sushi rolls using tuna! #3 The knives that sushi chefs use is the modern version of a samurai’s sword. They are finely crafted and must be routinely sharpened every day, ensuring only the most accurate, precise cuts. #4 How sushi looks is just as important as how it tastes. 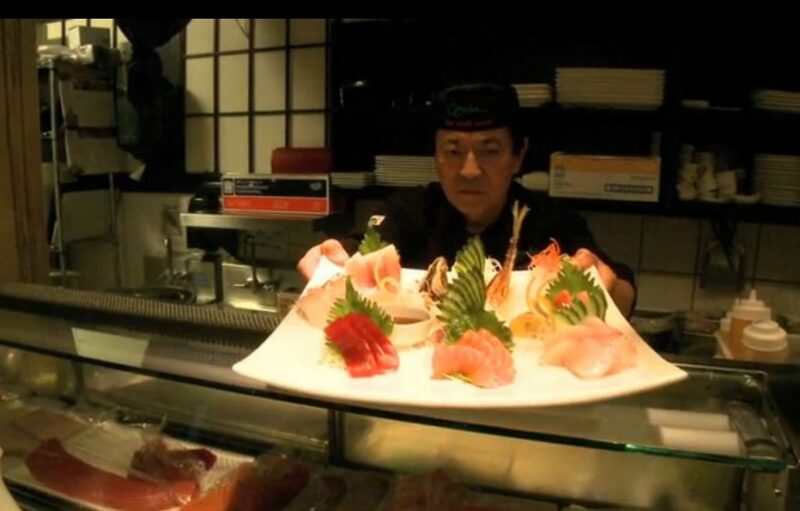 Sushi chefs put a great deal of effort into how their meal is arranged and appears to the hungry customers. A great meal isn’t just eaten with your mouth, but with your eyes as well. #5 The most anybody has ever paid for sushi-quality Bluefin tuna was $1.76 million for a 489 lb Bluefin Tuna. It was bought by a Tokyo sushi restaurant chain Kiyomura K.K. This comes out to over $3000 per pound of fish, and a fish that size would make a lot of tuna rolls! Remember these fun facts the next time you eat at Osaka, because behind every sushi roll, there’s a story. Japan has one of the highest numbers of centenarians in the world. As America fights an obesity epidemic and an increase in chronic diseases at younger ages, we may wonder how Japan has achieved such a long average lifespan. The answer is probably strongly linked to Japanese diet, culture, their island home and some history. Japan emerged after World War II as a strong, growing economy. This led to better nutrition, better education and higher living standards for the Japanese people. And, Japanese families overwhelmingly revere and care for their elders, so they may enjoy a longer, happier and more productive old age. But, prosperity and elder care alone don’t account for the extraordinary health and longevity of the Japanese. Japanese culture encourages good health. Along with a good healthcare system that is affordable for most people, citizens are encouraged to get exercise and stay in shape, and to maintain a healthy weight. A doctor visit in Japan means that your waistline will be measured and recorded and, if needed, you will be instructed on how to lose that little bit of extra weight. In Japan, cultural norms in this still close-knit national culture are strongly enforced, so peer pressure helps to remind people to pay attention to their health. This peer pressure includes mealtime, too, of course. A Japanese meal is served in small portions and on small plates. The ancient Japanese proverb hara hachi bunme is still practiced: “stop eating when you are 80% full.” Children and adults are encouraged to “eat with their eyes” and dishes are prepared in attractive displays that can be enjoyed visually and not just in eating them. The combination of a wholesome diet with an active lifestyle is what largely contributes to the longevity of Japanese people. How does the Japanese diet contribute to health? As an island nation, seafood plays a huge role as a source of healthy protein in the Japanese diet. Seafood is low in calories, high in omega-3 fatty acids and easy to prepare and digest. The average Japanese consumes over 150 pounds of fish a year. Rice and vegetables make up the bulk of the rest of the diet, generally served simply with few added fats or ingredients that add calories. Cruciferous vegetables like kale, cabbage and broccoli are common and are helpful in fighting cancer. Even Japanese desserts are lighter than Americans are used to. Using less sugar and fat, they may be made of sweetened pounded rice or bean paste and include fresh fruits and light toppings. 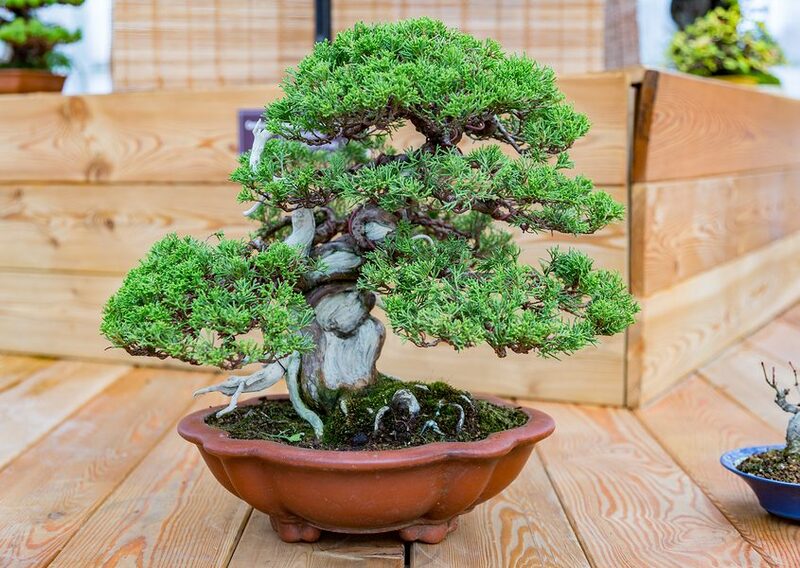 The Japanese enjoy green tea several times a day. The health benefits of green tea are well known and should not be ignored in any healthy diet. Beneficial antioxidants known as polyphenols in green tea have been shown to help prevent cancer and heart disease and are believed to be beneficial in weight loss, lowering cholesterol and preventing diabetes and stroke. The benefits of a Japanese diet are many, but the greatest pleasure may come in the many delicious varieties of dishes one can enjoy knowing that the tasty meal is also nutritious and healthful. 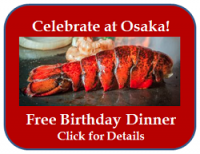 We hope you enjoy your Japanese meals whether in Japan or here at Osaka Restaurant and we wish you a long and healthy life. Does interpreting a sushi menu seem like a daunting task to you? Well, then it’s time to get over your sushiahphobia (fear of sushi). Sushi is no longer reserved just for happy Japanese tummies. You can find it in almost any city from New York, NY to Austin, TX and of course here in Las Vegas. Even Grand Junction, CO (population of 58,000) has a handful of sushi restaurants. It is an especially popular meal choice for those dining out with friends. Chances are you’ll be invited to eat sushi sooner or later, so it’s best to be prepared and educate yourself now! If you have never had sushi before, it can be a scary thing. Looking at the menu can be like trying to decipher a foreign document. Don’t let your fear of the unfamiliar prevent you from trying something potentially mind-blowing. After reading this guide, you will be ready to walk into any sushi restaurant ready to order with poise and confidence. Hand Roll- This type of roll is made by wrapping sushi rice and ingredients into a cone shape. It is perfect for eating with your hands (hence the name) and is more for individual enjoyment rather than sharing. Maki Roll– Typically, a maki roll (sometimes shortened to just ‘maki’) is made by rolling sushi rice and a variety of fish and vegetables in nori (seaweed). It is shaped into a circular tube which is then cut into bite-sized disks. Most sushi restaurants will have a list of specialty rolls; these are maki rolls with different combinations of ingredients. Maki rolls are great for sharing! 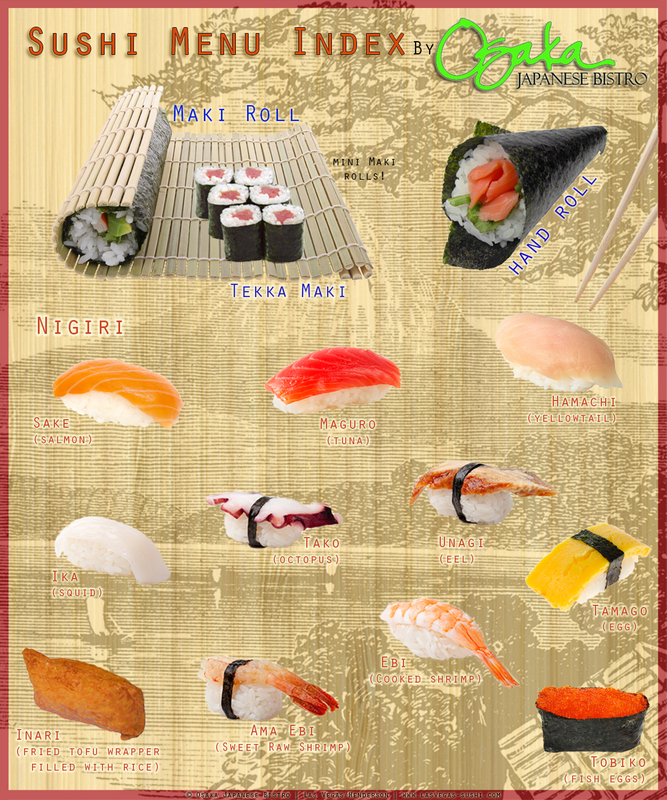 Nigiri– These are the original and most simple sushi options. Most nigiri are oval balls of sushi rice topped with fresh, masterfully sliced pieces of fish. One order normally comes with two pieces of sushi. If you are a little wary of the raw fish thing, you might want to start with the tamago (egg) or ebi (shrimp) nigiri. Sashimi– Sashimi are slices of raw fish enjoyed with a side of soy sauce for dipping. It is not really ‘sushi’ per se, but it is commonly eaten at sushi restaurants because it’s basically nigiri without the rice. Tekka Maki– These are mini maki rolls. They are smaller, so normally have one ingredient in the middle. Common tekka maki rolls are maguro (tuna), cucumber, and takuan (yellow pickled vegetable). A cucumber tekka maki might be a good one for a sushi-newbie to start with. Ika– Squid. If you like squid in other dishes like pasta, you might like this one. Be aware that it will be chewy in comparison to the other fish options. Inari– Fried tofu wrapper filled with sushi rice. The outside wrapper is a little sweet and is served cold. There are many creative ways to fill inari sushi, but it is most commonly filled with pure sushi rice. Sake– Salmon. (Not to be confused with ‘sake,’ the Japanese alcoholic beverage.) This is one of the best nigiri to start with when trying raw fish for the first time. It has a smooth, almost creamy texture. Tako– Octopus. This is can also be a bit chewy, similarly to the ika (squid). Tamago– Egg. The egg you find on top of sushi is normally sweetened with sugar and cooked in a special square pan called a tamagoyaki pan. Tobiko– Fish Eggs. These fish eggs don’t have much taste and are enjoyed mostly for the unique texture. They ‘pop’ in your mouth! 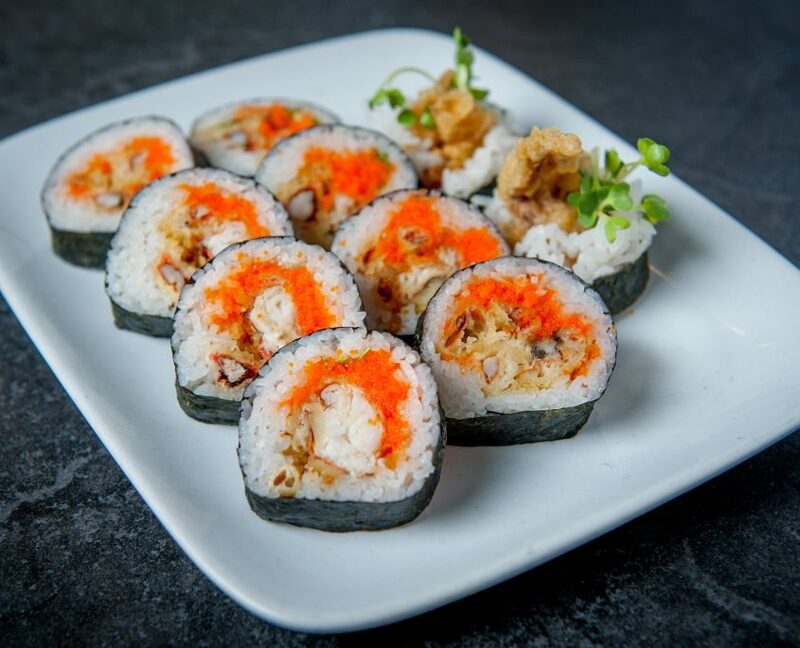 You will find tobiko as a decorative ingredient on many other types of maki sushi rolls including the ever popular California roll (imitation crab meat paired with cucumber). Unagi– Eel. Eating eel may sound exotic, but the texture of unagi most closely resembles that of a tender meat making it another great beginner’s option. It is also considered a good source of protein and energy. Ginger– There will often times be pickled ginger on the side of your plate at a sushi restaurant. It has a strong taste meant to cleanse the palette between or after your meal. Sushi Rice– Sushi is made with a specially prepared rice (white rice mixed with vinegar and sugar). Despite the vinegar, it has a subtle flavor that is not overpowering to the palette. Unagi Sauce– You will find ‘unagi sauce’ as an ingredient in many maki rolls. The flavor can be thought of as a thicker, sweeter version of teriyaki sauce. It compliments sushi very well. Wasabi– The green paste on your plate is NOT avocado! It’s wasabi (Japanese mustard) and it’s spicy. Mix a little piece of it in your soy sauce for dipping. So now that you’ve read this beginner’s guide to the sushi menu, call your friends and go try some sushi! You now have the knowledge to order like a pro. Start with more familiar options like the tamago nigiri, then venture out further with the sake (salmon). Remember what you read here and you’ll be eating sushi like a Japanese boss in no time. Ganbatte (good luck)!